Mother Goose is a childhood classic. 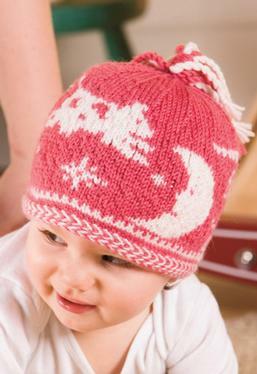 Now Mother Goose isa darling hat for the little one in your life. 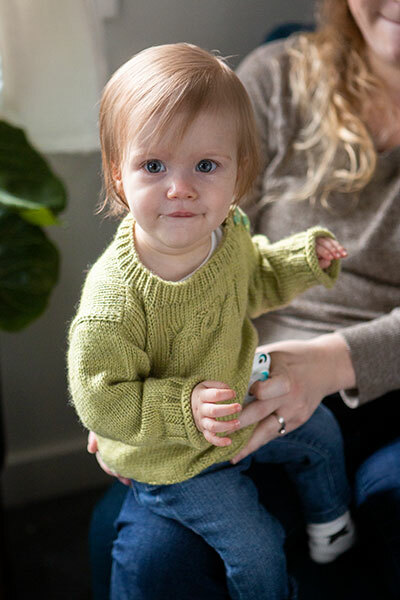 Knit in the round in two colors with a double braided edge and baby dredlocks or a chunky tassel on top. 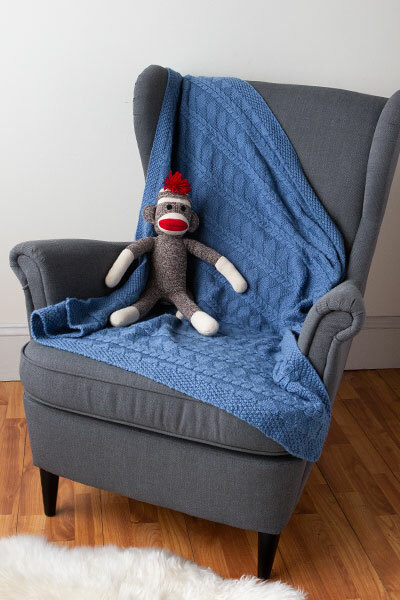 When I teach stranded knit design class, most folks think they can't do it, but they quickly find they can! You can too! 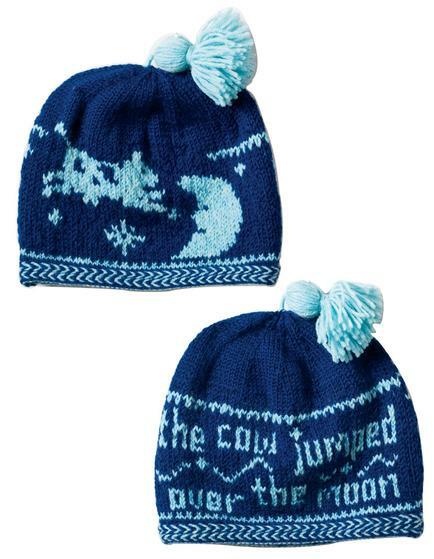 The cow isn't the only one that will be "over the moon" for this hat. 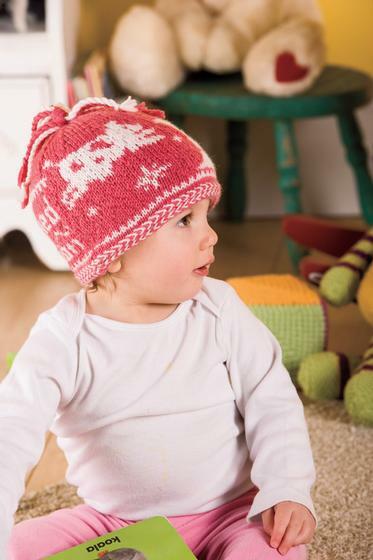 Two balls of Wool of the Andes Sport, or a sport weight cotton for spring, and a little patience is all it takes to make a cap this special. 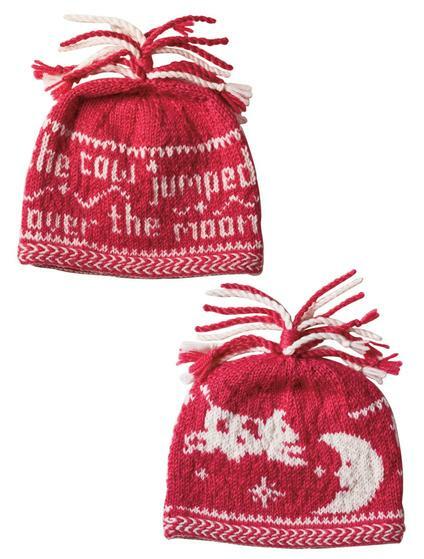 Infant, Toddler and Small Child sizes included to create a gift that will be kept forever.